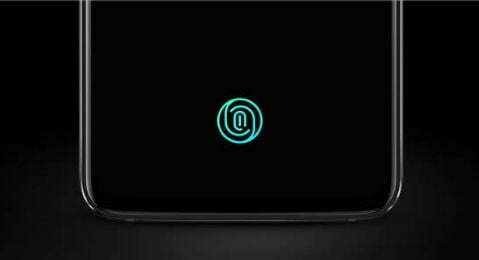 New Delhi: OnePlus has unveiled its much-awaited phone – the OnePlus 6T. The changes of the OnePlus 6 are an in-display fingerprint sensor, a waterdrop-style notch, a larger 3,700mAh battery and improved photography features. It shares the same Snapdragon 845 SoC, coupled with an Adreno 630 GPU, 6GB/ 8GB of LPDDR4X RAM, and 128GB/ 256GB storage like the OnePlus 6. There is no 64GB base variant in the 6T. The OnePlus 6T has a 6.41-inch full-HD+ (1080×2340 pixels) Optic AMOLED panel with a 19.5:9 aspect ratio. It has Corning Gorilla Glass 6 protection. While the camera setup is the same specs-wise, the company is claiming an advanced ‘Nightscape tech’ for improved low-light photography. This feature will also come to the OnePlus 6 via a software update. The primary camera is a 16-MP Sony IMX519 sensor with f/1.7 aperture, 1.22-micron pixel size and has OIS, and EIS. The secondary is a 20-MP Sony IMX376K sensor with f/1.7 aperture and 1.0-micron pixel size. The same 16-MP Sony IMX371 sensor with f/2.0 aperture, 1.0-micron pixel size, and EIS is used in the front camera as well. The OnePlus 6T gets a significant battery upgrade. The new battery is 3700mAh instead of 3300mAh on the OnePlus 6. The new battery will last 23 per cent more, according to the company. It supports fast charge of 5V/4A. The 3.5mm headphone jack has been eliminated on the OnePlus 6T. It comes with OxygenOS-Android 9 Pie out-of-box. The 6T gets a ‘Smart Boost’ feature that improves app cold-start times. It has been launched in Midnight Black and Mirror Black color options. The OnePlus 6T will be exclusively available on Amazon. As part of the launch offer, Jio is offering vouchers worth Rs 5400, ICICI and Citibank are offering Rs 2000 instant discounts on their cards, Amazon Pay is giving Rs 1000 cashback and C-Type earphones are also free. There is a zero per cent EMI offer too, with one-year accidental damage protection cover. The dimensions of the OnePlus 6T have been changed slightly to 157.5×74.8×8.2mm. The OnePlus 6 measures 155.7×75.4×7.75mm and weighs 177 grams. The OnePlus 6T weighs 185grams.